A Baker’s Cyst, also known as a popliteal cyst, is a fluid-filled swelling that causes a lump at the back of the knee. This leads to tightness and restricted movement. The Baker’s Cyst can be painful when you bend or straighten your knee. Synovial fluid is a clear liquid that normally circulates through the spaces in your knee joint. Sometimes the knee produces too much of this fluid. The increasing pressure forces the fluid to the back of the knee via a one-way valve. This creates a bulge. 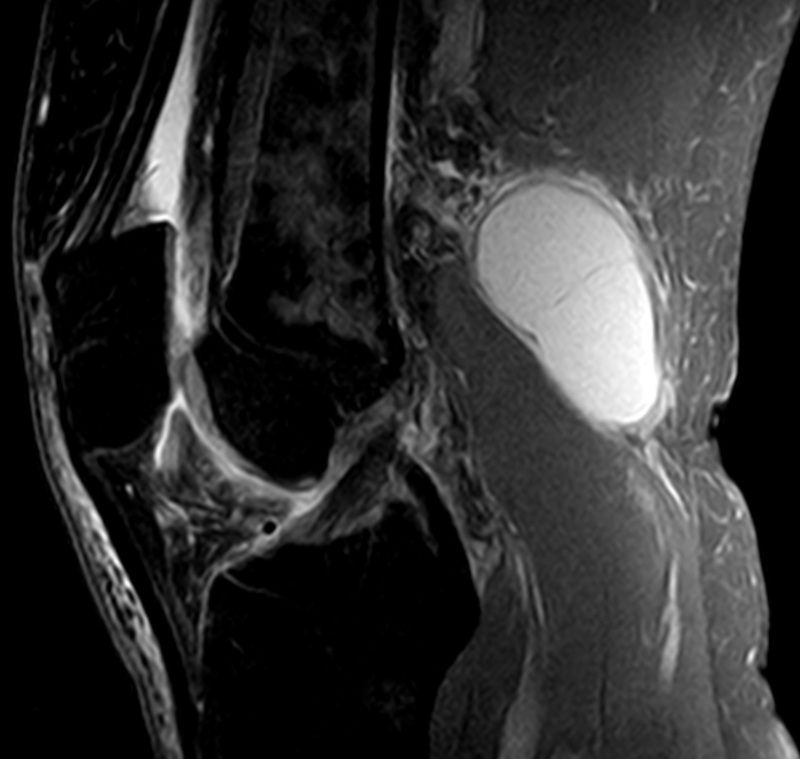 This swelling of the knee causes a Baker’s Cyst to form. Swelling or lump behind the knee (the main sign) – this is more evident when standing and comparing one knee to the other. It may feel like a water-filled balloon. Accumulation of fluid around the knee. The knee joint may click or buckle. The knee joint may lock. Your doctor will examine your knee and feel the swelling. If the cyst is small, they may compare the affected knee to the healthy one and check your range of motion. Your doctor may recommend non-invasive imaging tests if the cyst rapidly increases in size or causes severe pain or fever. These tests include an MRI or ultrasound. An MRI will enable your doctor to see the cyst clearly and to determine if you have any damage to the cartilage. These tests will determine if some other form of growth, such as a tumor, is causing the swelling. Although the cyst won’t show up on an X-ray, your doctor may use one to check for other problems, such as inflammation or arthritis. Web MD has additional info on this condition. A Baker’s Cyst doesn’t need treatment. It will go away on its own. However, if the swelling becomes large and causes severe pain, your doctor may recommend one of the following treatments. Your doctor will insert a needle into the knee joint and may use an ultrasound to help guide the needle to the correct place. They’ll then draw the fluid from the joint. Your doctor may recommend a corticosteroid medication, such as cortisone. Your doctor will inject this drug into the joint, and the medication will flow back into the cyst. Though it may help relieve the pain, it doesn’t always prevent a Baker’s Cyst from recurring. Regular, gentle exercises may help increase your range of motion and strengthen the muscles around your knee. If you think you or someone you know may have a Baker’s Cyst, please call PhysioNow today! We would be happy to help! We have highly trained Registered Physiotherapists ready to see you Now!